A resident praised the joint efforts of Sussex Police and Worthing Homes after a property associated with anti-social behaviour was shut down under a closure order. The closure order, under the Anti Social Behaviour Crime and Policing Act 2014, was heard before Worthing Magistrates’ Court on Thursday, March 29. It prevents anyone, including the flat owner, from entering the premises at Flat 1, Norfolk House, 122 Chapel Road, Worthing. After the court order was handed down, a nearby resident said: “I feel like I’ve got my life back, I am totally relieved. Police said they became aware of anti-social behaviour and criminal activities, including drug taking, being conducted in the property and worked closely in collaboration with Worthing Homes to secure a closure order. Sergeant Peter Allan of Adur, Worthing & Horsham Prevention Team said: “I am pleased that the court granted the closure order in this case. “We understand that asking a court to prohibit someone from entering their home is a major step, but, after previous attempts to reduce the persistent anti-social behaviour surrounding this property, we had no other option. 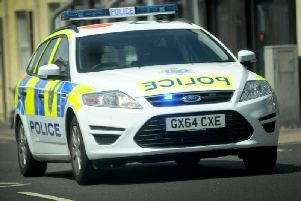 A spokesperson from Worthing Homes said: “We take all reports of anti-social behaviour seriously and, where drug dealing is suspected, will do everything we can to put a stop to it. We work extensively with our residents to help them maintain their tenancies, however we will take enforcement action to prevent other residents from experiencing antisocial behaviour when necessary. You can report similar incidents by calling 101.